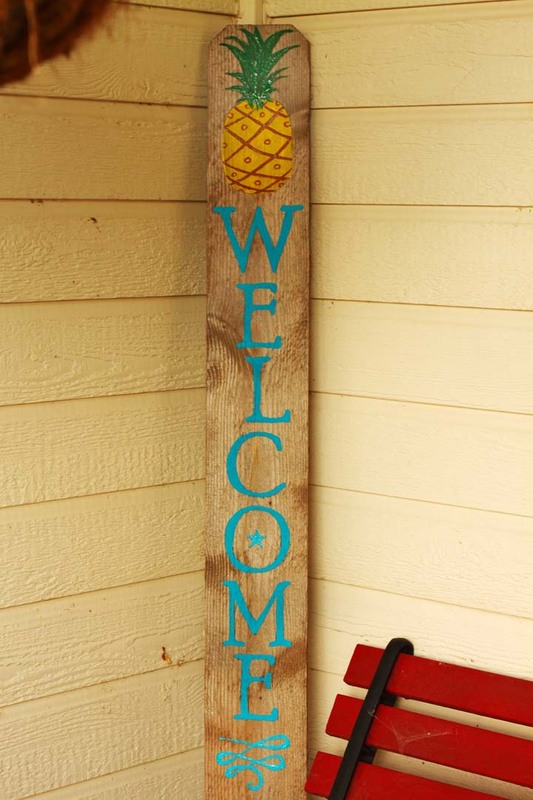 The pineapple has long been a symbol of hospitality and welcome, so it’s the perfect image for a summer themed porch sign to welcome visitors to your home. 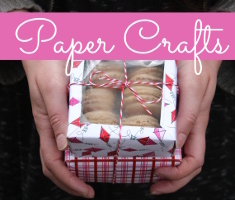 To begin, print the Welcome PDF file. Then, decide how tall you want your sign to be. 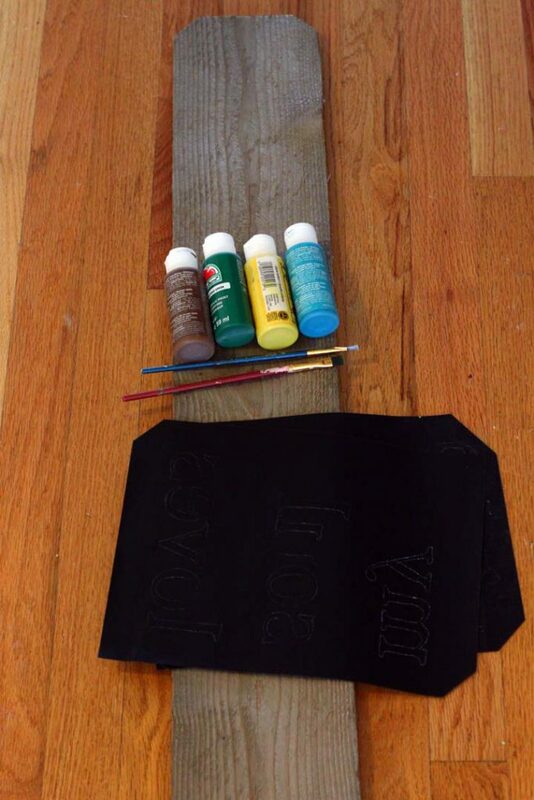 I leaned mine up against the wall where I was going to place it, and decided at what length to cut the board. 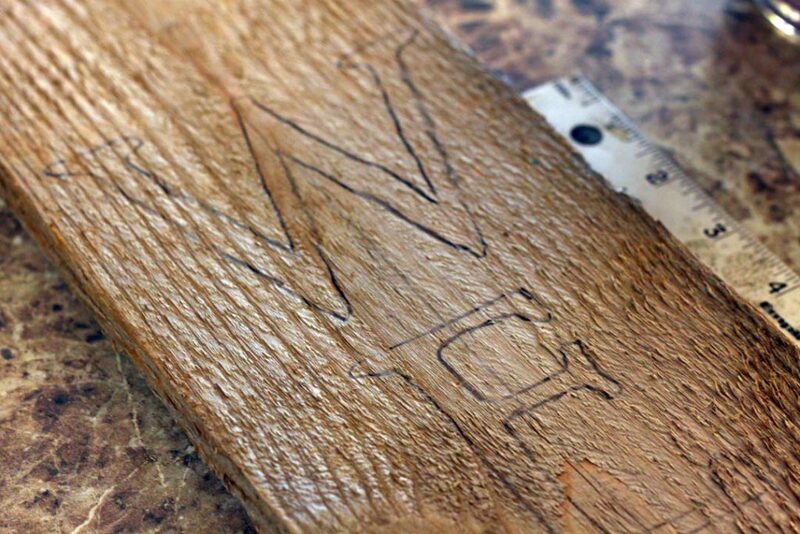 Cut the board to length. 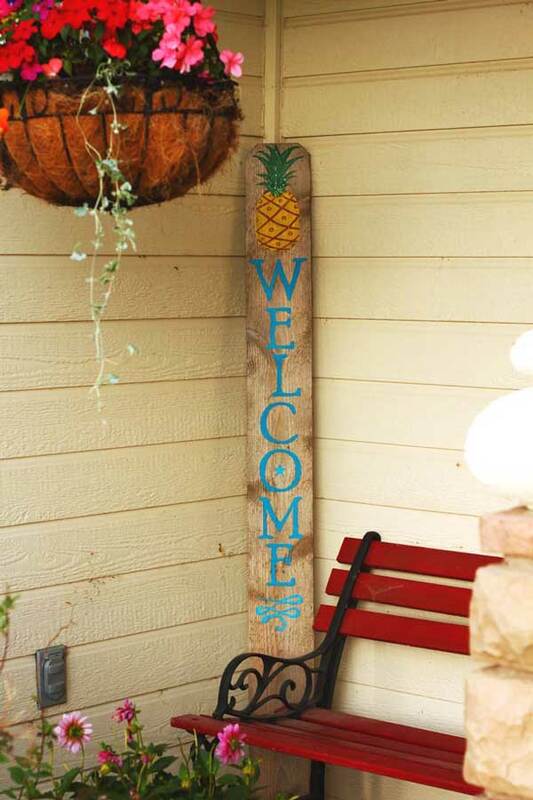 Measure down from the top to allow room for your pineapple, and figure out where you want to start your text on the sign. 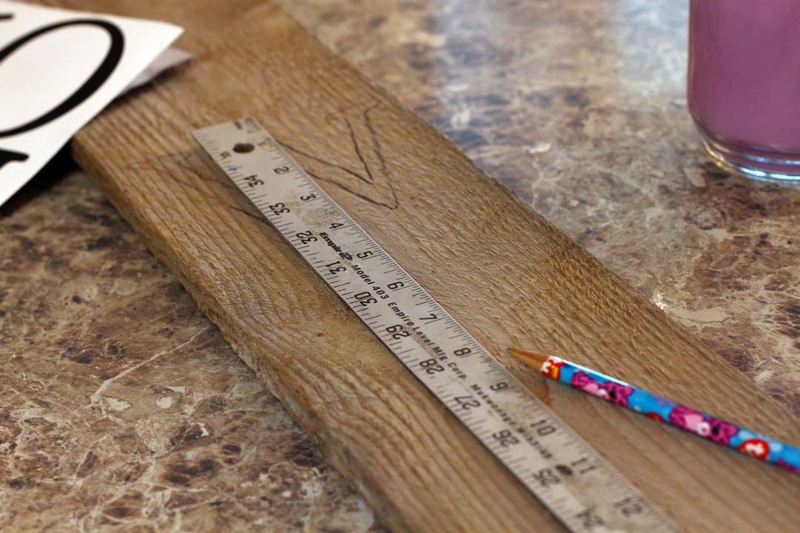 Use your yardstick to draw a light line down the middle of the board to help you align the letters as you trace them. The letters are approximately 4.5-inches in width, and I spaced mine about 1/2-inch apart. Space accordingly. I made a pencil mark on each of the printed letters to mark their approximate center, so I knew where to match them up on the center line I penciled onto the board. 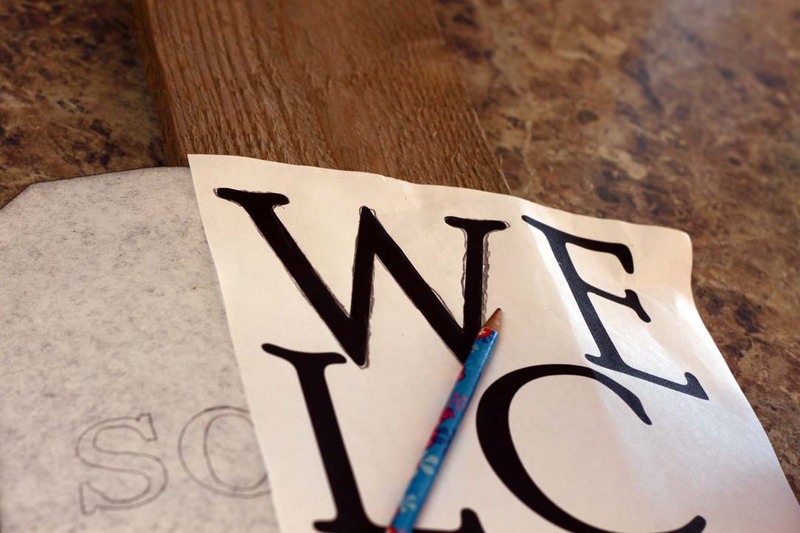 Place your tracing paper on the board, and then place the printed letters over the top–you can hold one edge of the paper down, and then kind of flip the paper back and forth quickly to see if your letters are aligned correctly on the board before you trace them. Trace the letters onto the board. 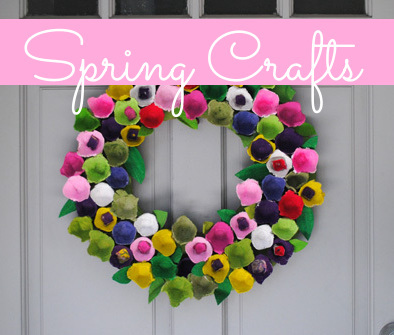 For the pineapple, draw an oval shape, leaving enough room at the top to make the green leaves. I proportioned the top of my pineapple so it is about 3/4 of the size of the oval body of the fruit. After you’ve drawn your pineapple, start painting! 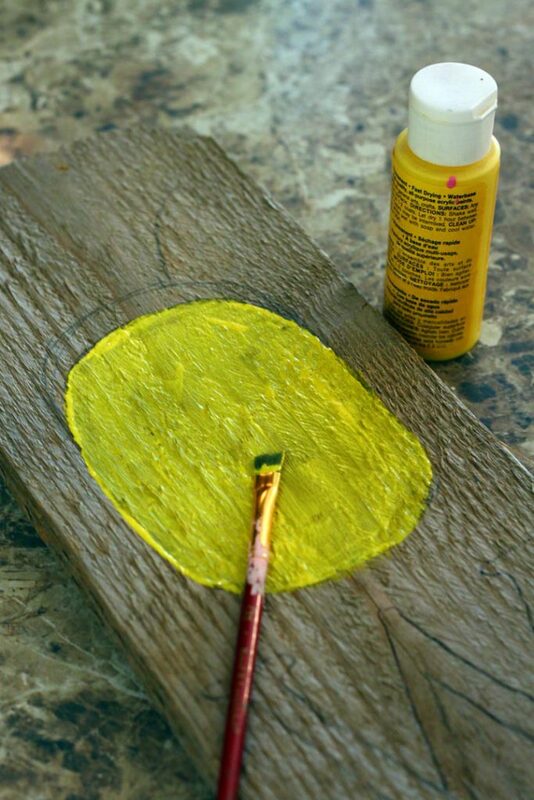 Paint the yellow part, and let it dry. 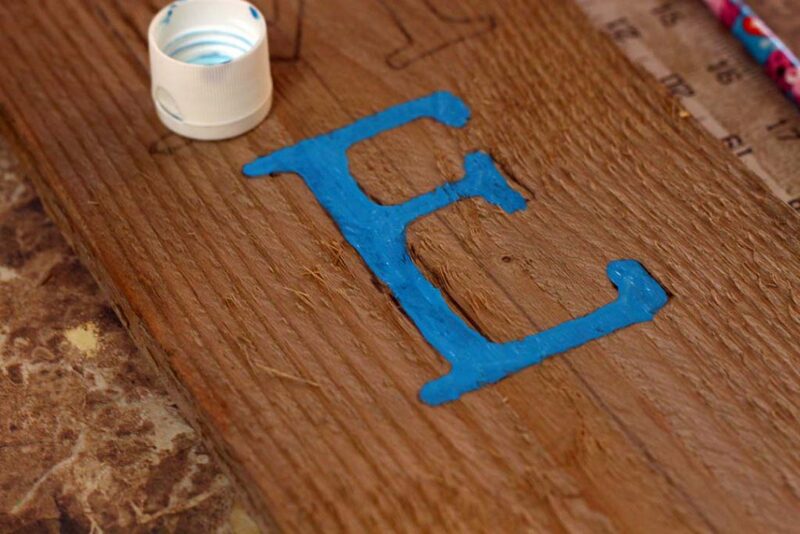 I suggest starting to paint your letters from the top letter down, “starting with “w,” so you don’t have to try to avoid the wet paint of working bottom to top. 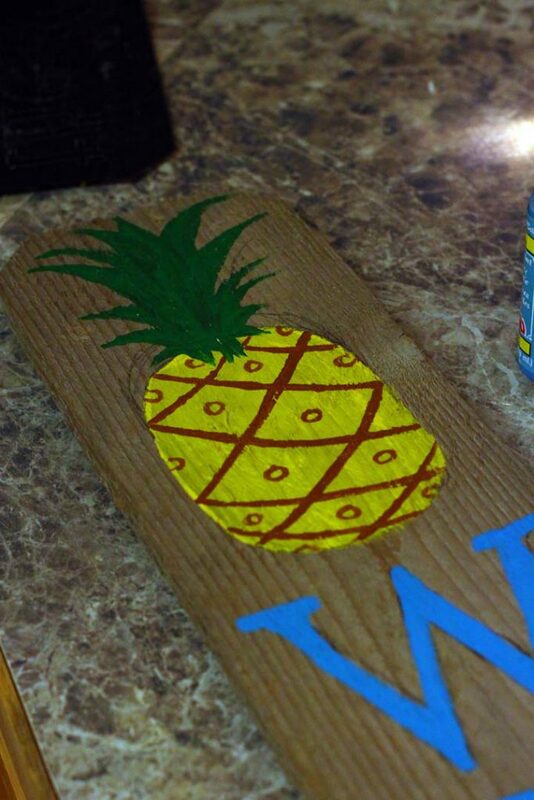 When the yellow of your pineapple is dry, use your green to paint leaves on the top. 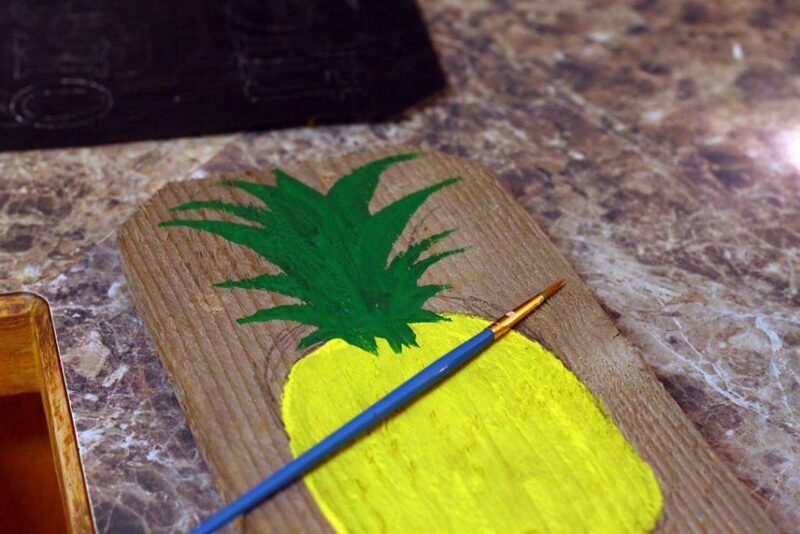 Next, use a small brush and paint the criss-crossing stripes on your pineapple to form diamond shapes. Inside each diamond, make a circle with brown. Let dry. 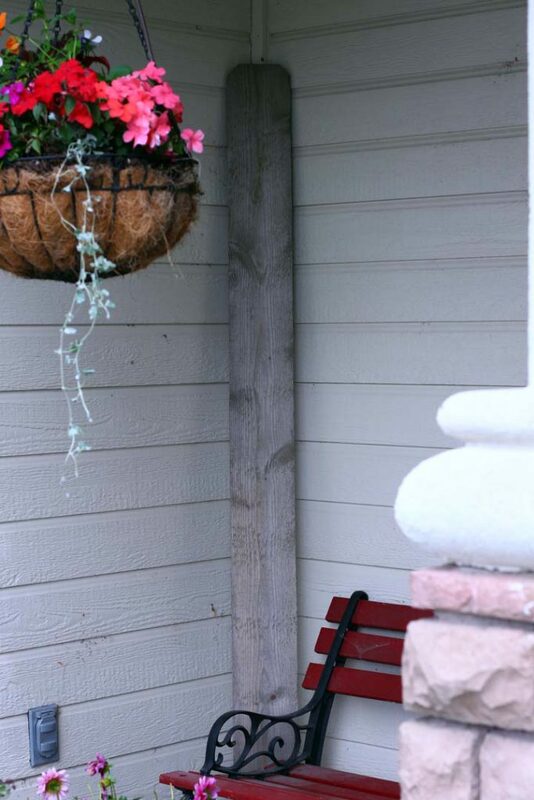 Finally, proudly welcome visitors to your home with your pretty new sign! 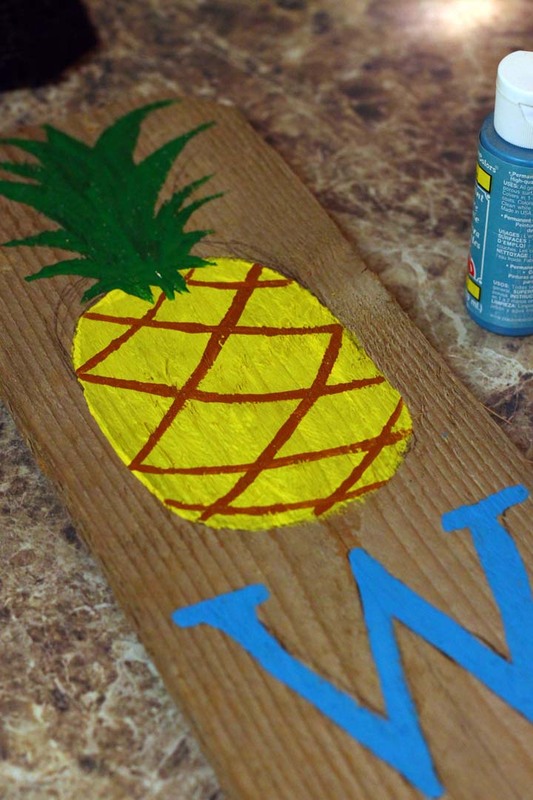 This entry was posted in Home Decor, Painting, Wall Art and tagged Painting, Pineapple, Welcome Sign on June 27, 2018 by Michelle.